Yesterday, a buddy of mine asked me how my fantasy teams are doing. I kinda looked at him funny and said, "I have no idea." Really. I don't look at the standings at all until closer to the end of this month. It's pointless. I don't care that Adrian Gonzalez hit five home runs in three days. He did the same thing a few years ago, but it was in August so nobody noticed. I'm certainly not impressed by Aaron Harang's sub-1.00 ERA. He got off to a similar start last year, posting a 0.85 ERA after five starts... and then pitched to a 4.00-plus ERA the rest of the way. Everybody knows the name Tuffy Rhodes, right? He hit 3 HRs on Opening Day 1994 and ended up with 8 for the season. But we can't seem to pry ourselves away from the allure of these fast starts. All these early season performances are under the microscope because that's all we have and the media needs to have something to write about. Unless a player is doing something to indicate an undisclosed injury or a fringe guy playing himself into more at-bats or innings, I'm not paying attention. Actually, there is one other type of April performance that has some predictive value. Pitchers who struggle early in the season often don't right the ship. Yes, we can look back to C.C. Sabathia in 2008—he had a 13.50 ERA after four starts and finished with an ERA of 2.70. He's the example that provides hope for a turnaround, but he is also the exception rather than the rule. In far more cases, pitchers who dig themselves into an ERA hole in April find it difficult to climb out. They might actually perform close to their career average over the better part of the season, but that poor start drags down their seasonal line. Part of it is due to the smaller base of stats that innings provide. Heck, if you pulled out Sabathia's first four starts that year, his ERA would have been 1.88. Those four starts—out of 35—inflated his ERA by nearly a full run. But part of it may also be early indications of something amiss. You never know for sure, but you have to at least ask the question. 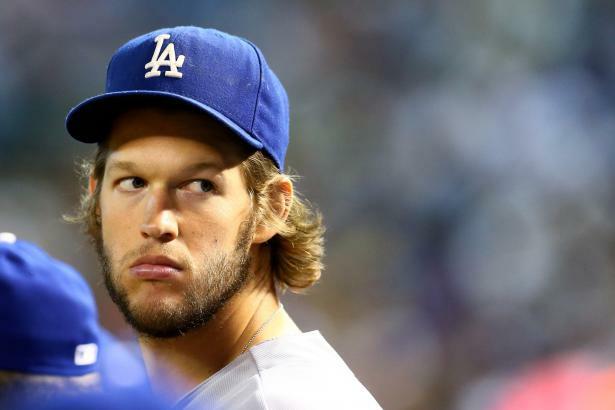 So... should we be concerned about Clayton Kershaw? After two starts and going into Friday's game against the Rockies, he has an ERA of 5.84. His peripherals are still mostly strong and in line with past history, though he has walked 5 batters in 12 innings, which is high for him. A 42% hit rate and 65% strand rate have inflated his ERA. It appears those two starts are not predictive, but I'm willing to bet that nearly everyone who drafted him in the first round is feeling just a little uneasy right now. Not publicly, of course. But deep down, there's a little Speedy Gonzalez bouncing around the walls of their stomach, yelling "Arriba! Arriba! Andale! Andale!" Trying to wake up those stats. We can be perfectly logical and objective, but there is one nagging fact. One day, some day, Clayton Kershaw will no longer be the best pitcher in baseball. Heck, he's already had a longer run of first round earnings than any other pitcher in the past 15 years. We are already seeing small chinks in the armor—he missed a month with an injury last year, and now this start. Could this be the beginning of the eventual fade? The peripherals say no. They say that this is a short-term aberration. But even those luck-based gauges—hit rate and strand rate—have some small skills-based component. Hit rate can be affected by how hard opposing batters are hitting the ball... and in fact, Kershaw's hard-hit ball rate is the highest of his career, at 31%, a full 7% higher than last year. Are batters squaring up better against him? Strand rate can be affected by a pitcher's ability to throw from the stretch. And in fact, Kershaw's opposition batting average with runners on base has been .357. Over the past three years, it was .197. That's a 150 point swing, but to be honest, even his performance with nobody on base is off—.273 this year, versus .202 over the past three years. But there could be other variables. Maybe this is the result of a pitcher throwing more defensively after narrowly avoiding serious injury from the line-drive comebacker last month. One never knows what impact that near miss had on him. And finally, elite pitchers often do not take a slow prolonged path to declining performance. Sometimes the turnaround is sudden and sharp. Look at Roy Halladay. Look at Tim Lincecum. Look at Justin Verlander. If you are Kershaw owner, I don't suggest that you should be jumping off a cliff. But I do suggest that you don't keep your head in the sand either. How many Lincecum and Verlander owners hung on during that first season of decline, hoping for a turnaround? These days, there is a lot of good pitching out there. If Clayton Kershaw is still struggling a few weeks from now and you have an opportunity to flip him for 80 cents on the dollar, that's a deal I would personally consider.